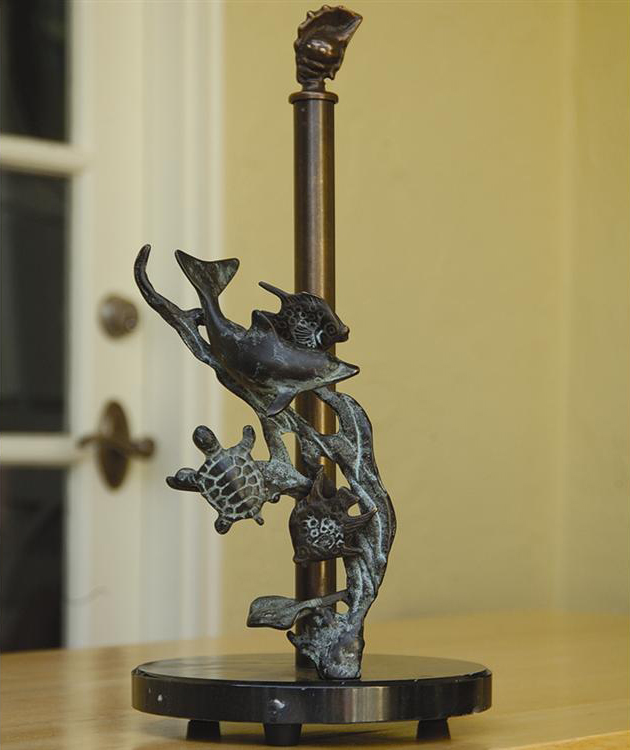 Create effortless style in your coastal kitchen with the Deep Sea Divers Paper Towel Holder, beautifully made with a swirling undersea sculpture. This coastal kitchen dinnerware ships from the manufacturer. Allow 1 week. Cannot express ship. For further offerings, we ask you to take a moment to have a look at our comprehensive collection of coastal kitchen decor at Bella Coastal Decor now.